This young scientist is going places and we can't wait to hear all about it! Well done Kayte!! Kayte was diagnosed with osteogenesis imperfecta at birth, and was born with 73 broken bones. She’s also had more than 14 surgeries to correct several bone issues. OI affects a gene that produces collagen, an important building block of bones. Kayte, who turns 11 in May, wanted to study the effect calcium and collagen would have on bones and bring about greater awareness of her condition. She also said her project, titled Calcium and Collagen Vs. Brittle Bones, helped her remain optimistic about her condition. “This project gave me hope that there might be a cure one day,” Kayte said. “If I can manipulate bones like this, maybe doctors will figure out a way to fix my disease one day.” Kayte has even inspired her schoolmates to raise awareness for OI. 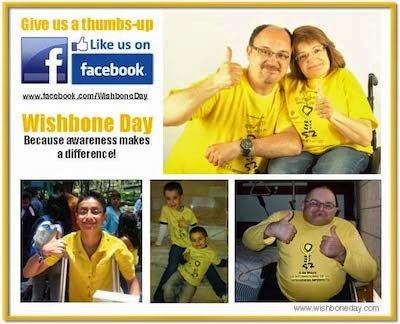 “The whole school will be going [Wishbone Day] yellow for OI on Thursday, May 10,” Kayte said. “I think it’s great that everyone is learning about my condition. So many people don’t understand my bone disease, but this project helped the kids understand.” Kayte, who said she tries to remain optimistic about her diagnosis, said that winning and spreading awareness helped her feel better. Robin Hurt, a sixth-grade teacher at East who helped plan the science fair, said Kayte’s personal connection to her project helped make it more meaningful. “Everyone really loved Kayte’s project,” Hurt said. 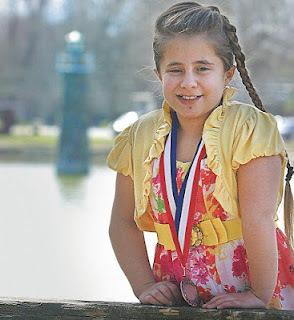 “I think that her passion and personal connection to her project made her more invested and contributed to her success.” She added that Kayte has always been extremely positive at school, even in the face of her bone disorder.